Witness to AIDS was first published in South Africa in April 2005 (Tafelberg/NB), where it stayed in the best-seller lists for several weeks, and is now in its fourth printing. It was published in the United Kingdom in August 2005 and in the United States in October 2005 (IB Tauris). The UK edition was re-printed in June 2007. It was published in German in January 2007 (CH Beck Verlag). The Chinese edition was launched in Beijing in January 2010. Witness to AIDS was reviewed in the Economist, 29 July 2005, the New Internationalist, London, 1 January 2006, by Justice Michael Kirby in the Australian Law Journal, December 2005 ((2005) 79 Australian Law Journal 795), and in Oxford Today, Hilary Term, 2006. It has also been reviewed in many South African publications. The German edition was book of the month for March 2007 in Literaturen. Witness to AIDS was the joint winner of the 2006 Sunday Times/Alan Paton Prize, South Africa's premier literary award for non-fiction. Nelson Mandela - "One of South Africa's new heroes"
Nadine Gordimer (Nobel Laureate in Literature) - "If truth is beauty, this relentlessly brilliant and hopeful book is beautiful." Elton John - "Edwin Cameron’s book is important for all who want insight into the impact of AIDS on our world. Its portrayal of living with HIV is devastatingly honest – but it also inspires hope, because we have power to change the conditions of many millions in Africa and elsewhere who face death in the epidemic." Zackie Achmat (Chairperson of the Treatment Action Campaign) - "Cameron addresses the taboo questions of race, sexual orientation, poverty and stigma in the context of the HIV/AIDS epidemic..."
MW Makgoba (Vice-chancellor University of KZN) - "A powerful story written with eloquent simplicity..."
Clem Sunter (Author of The Mind of a Fox) - " Edwin Cameron is incredibly sincere in his portrayal of his experience and therefore his book, Witness to Aids, should be read by everyone who wants a deep understanding of HIV and its impact on the individual and the community." Prof John Hood (Vice-Chancellor of Oxford University) - " A compelling, principled, and compassionate account of a remarkable South African’s humanitarian quest for responses to the HIV Aids pandemic which are scientifically and constitutionally well-founded." 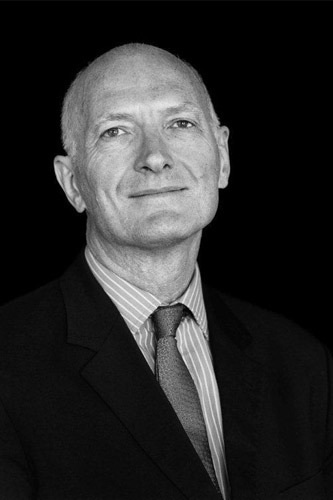 Chris Smith (Former Secretary of State for Culture, and the first openly gay Member of Parliament, Cabinet Minister and publicly HIV-positive politician) - " Edwin Cameron is a very brave man; and this is a brave, honest, and uplifting book. A prominent human rights lawyer and outstanding judge, his pioneering decision to stand up and say that he was living with HIV is captured here in all its turmoil and all its pride. It's a moving story, brilliantly told." Sir Sydney Kentridge (QC) - " A remarkable book by a remarkable man. His personal account of the AIDS epidemic in South Africa is written with great passion yet with the balance which is to be expected from a distinguished judge." In Witness to AIDS - part memoir, part compelling analysis - Supreme Court of Appeal Justice Edwin Cameron grapples with the meaning of HIV/AIDS: for him as he confronts the possibility of lingering death, for all of us in facing up to one of the foremost challenges of our time. In this intensely personal account of survival, Cameron melds elements of his destitute childhood with his daily duties as one of South Africa's most distinguished judges, while focusing always on the epidemic's central issues - stigma, unjust discrimination, and, most vitally, the life-and-death question of access to treatment. Cameron's moving memoir of his own survival in an epidemic that has cost millions of lives is insightful and uplifting, sobering and ultimately hopeful. Witness to AIDS by Edwin Cameron is published by Tafelberg. ISBN: 0624041999. Published in 2005. Chapters six and seven are co-written with Nathan Geffen.